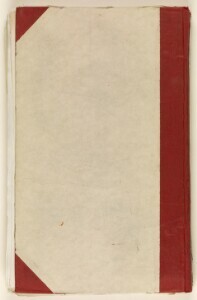 The record is made up of 1 volume (214 folios). It was created in 13 Feb 1930-22 Dec 1944. It was written in English. The original is part of the British Library: India Office The department of the British Government to which the Government of India reported between 1858 and 1947. The successor to the Court of Directors. Records and Private Papers. 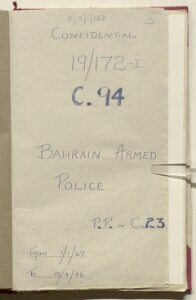 This file contains correspondence regarding the development of the armed police force in Bahrain between the years 1930 and 1944. The documents discuss the British authorities' desire to reduce the number of Indians employed in the police force and make it appear less noticeably 'foreign'. Various other reforms and training initiatives during this period are also discussed. 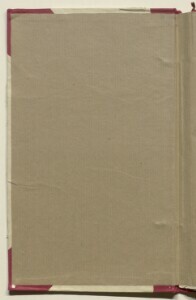 A full, detailed report from 1940 entitled 'A Report on the Bahrain Police with Suggestions for their improvement' is contained on ff. 70-167a. 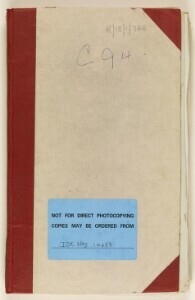 The file also contains detailed instructions regarding protocol for the use of force by the police against crowds (notably the use of firearms against illegal assemblies) and documents containing a broader discussion of the nature of Britain's role in Bahrain. 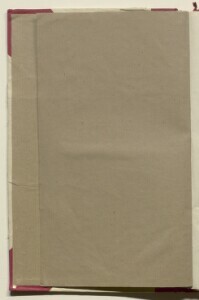 Previously a bound correspondence file, its sheets have been unbound and are now loose. 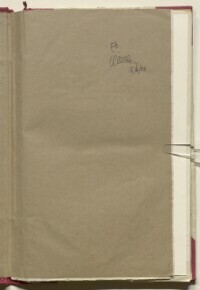 A foliation system of circled pencil in top right-hand corner of each front-facing page begins on the title page and ends on the last page of text. There is another inconsistent foliation system that is also in pencil in the top right-hand corner of each front-facing page but is not circled.